The 2015-16 summer transfer window saw the lower, mid-table and newly promoted Premier League clubs spending heavily to stay competitive in the league. Take for example, AFC Bournemouth, who have punched above their weight in the transfer market spending fortunes on several top quality players and taking their total squad value to a massive €36m. The amount may seem insignificant in contrast to the money spent by the rich European clubs this summer (Manchester United dishing out more than €36m to sign Anthony Martial alone) but in comparison to the other European teams across the top five leagues (Bournemouth would rank 9th in Spain, 6th in France, 10th in Germany and 14th in Italy in terms of squad value) it indeed makes a huge difference. 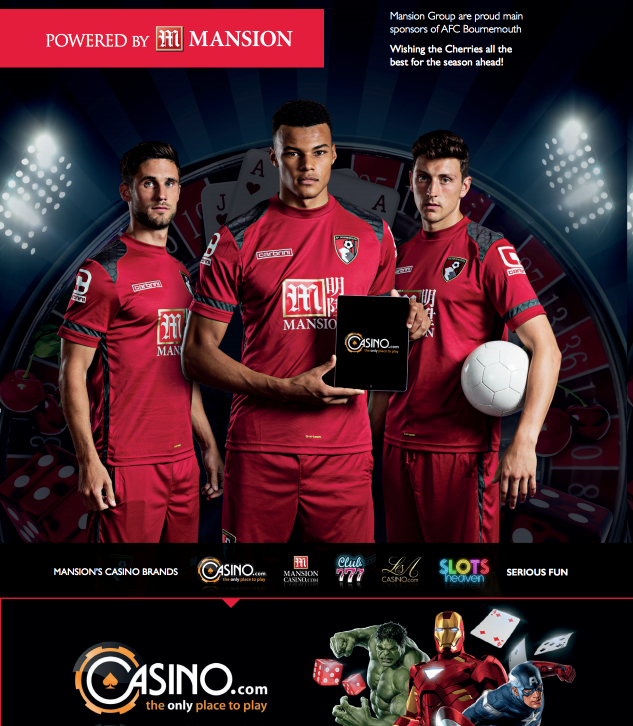 Along with the large chunks of money coming through TV revenues, Bournemouth have been financially boosted with their new sponsorship deal with international online gambling business Mansion Group. The Mansion Group will feature on the front of Cherries’ home, away and third kit, as well as training wear. The partnership will see the two brands working closely on a range of commercial projects and mutually beneficial marketing activities as well. Under Eddie Howe’s management, the club secured promotion last season for the first time in their history. Before promotion to the Premier League, their record transfer fee was a paltry £3m, paid for Callum Wilson, who joined in January from Coventry in 2014. Fast forward a year, the south coast club have flexed their muscle to a massive (relatively) outlay of £17.5m on transfers this summer. Bournemouth like may other English / European clubs were swaying into the dark abyss of financial breakdown early in the decade. Back in 2000, the club failed to negotiate any form of fee for Wade Elloit, before signing him for a measly fee of £5000. The summer signings have been pretty good. The likes of Artuc Boruc, Drew Surman, Glenn Murray and Dan Gosling will add the necessary Premier League experience, while the free transfer of Sylvain Distin is undoubtedly a major coup. The defence has been bolstered with the arrival of Tyrone Mings from Ipswich Town for a club record fee of £8m. By re-signing Max Gredel, Eddie Howe has brought in an experienced Ivory Coast international, who has a proven goal scoring record. Gradel scored 17 goals in Ligue 1 for St Etienne in 2014-15. Overall, these are exciting times at Bournemouth and it indicates the club is finally heading in the right direction.